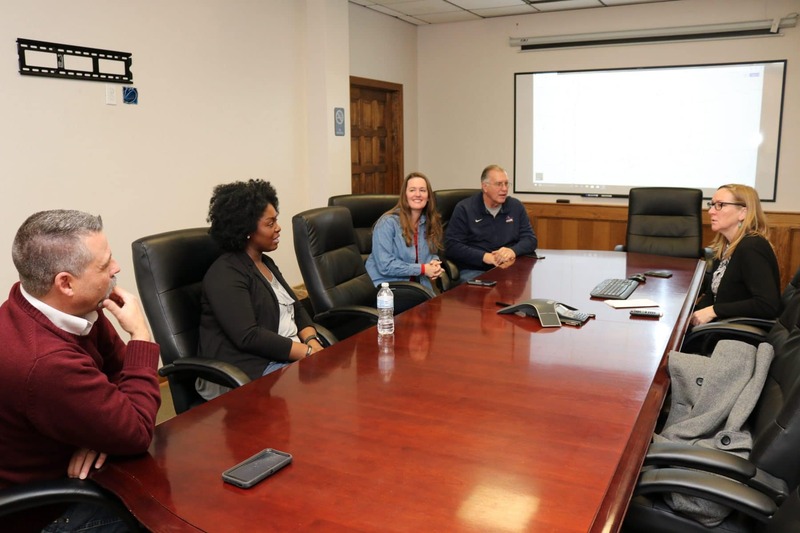 Representatives from Cowley County, Kansas, visited Pittsburg on Friday, January 5, to learn how city leaders and community organizations are addressing homelessness in Pittsburg and southeast Kansas. A group, called Cowley House of Hope, met at City Hall and toured the Wesley House Day Shelter, Safehouse Crisis Center and the Lord’s Diner. With a population of around 36,000, Cowley County is split evenly between Arkansas City, Winfield, and rural communities. The homeless population in the county is estimated at nearly 150 people. Kerri Falletti, CEcD, Director of Cowley First, says these numbers are concerning to her and to their community. The committee made up of community volunteers is researching how other Kansas communities are addressing homelessness. So far, they have also visited with representatives from El Dorado and Newton. They hope this visit to Pittsburg will generate ideas they can implement in their community. Cowley County currently offers services through Mid-CAP for temporary housing, and they are considering other solutions to help people get back on their feet. They hope this visit to Pittsburg will generate ideas they can implement in their community. According to Falletti, they chose to visit Pittsburg after meeting with City of Pittsburg Director of Housing and Community Development Becky Gray. The City of Pittsburg’s Emergency Solutions Grant provides multiple programs to address homelessness in the city. The grant helps maintain a day shelter at Wesley House, a homeless prevention program and a rapid re-housing program. Pittsburg city officials are also actively working with organizations to establish code blue overnight shelters in Pittsburg. Housing and Community Development Director Becky Gray says she believes sharing best practices with communities like Cowley County will encourage further progress in Pittsburg. Learn more about Community Development and Housing in Pittsburg.